I'm sure you are aware but Christmas is coming. Shocker, I know. And, if you are like me, you have multiple people to get gifts for. This year, which is no different from years passed, my daughters also want to give gifts to their friends. I don't mind. 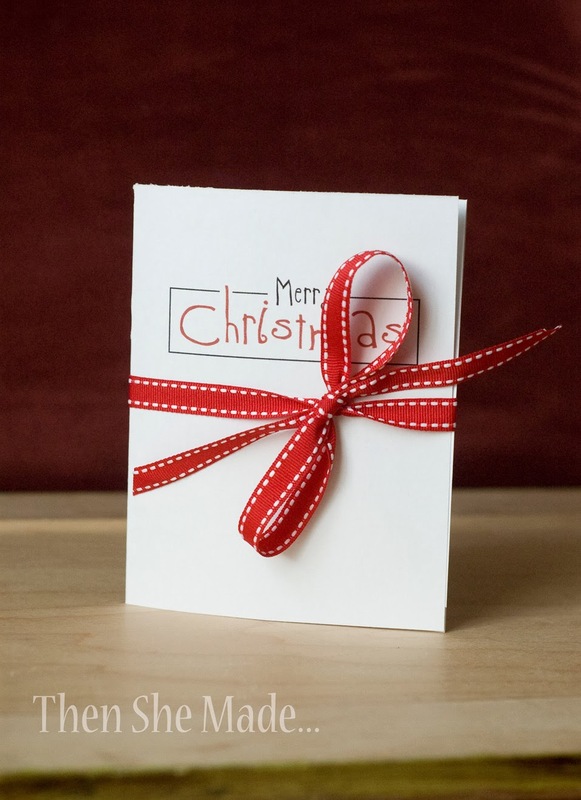 I'm happy to help them show kindness to others, however, it can get pretty expensive and the cost of gifts can add up quickly. 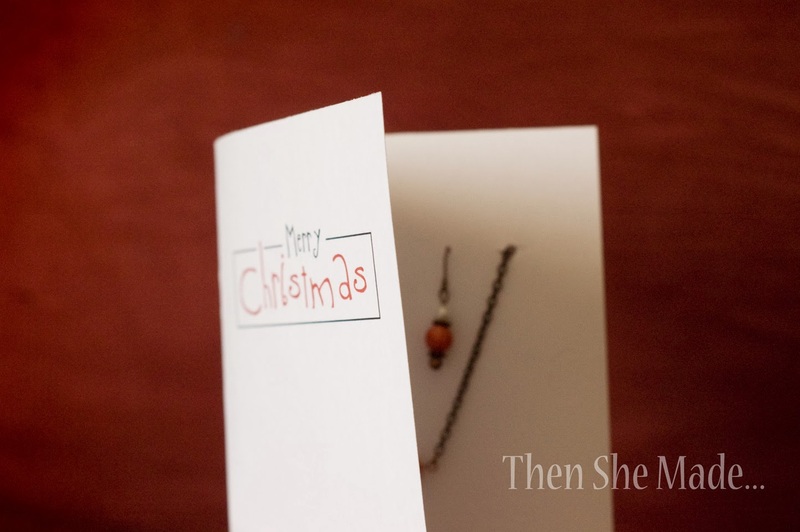 Because of this, I'm a big fan of gifts that are usable, cute, and low cost. 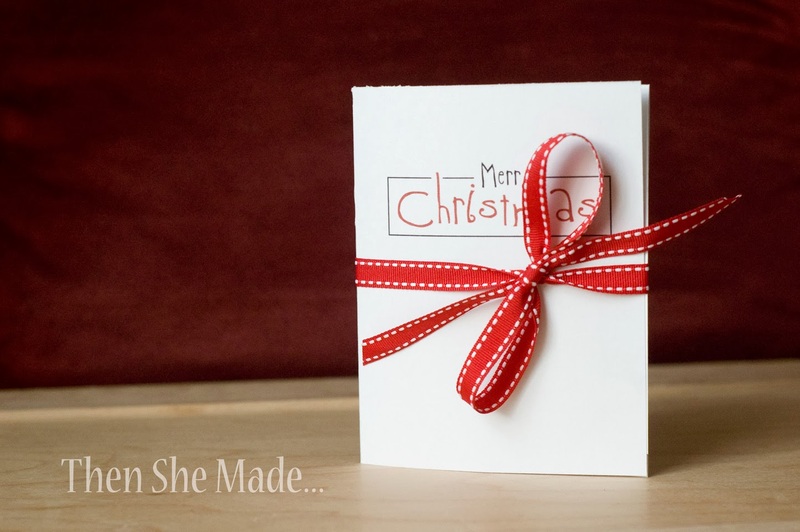 If you need an idea for something that easy to make and won't break the bank, here you go. Here's a jewelry set that you can make for under $5 and I've even included steps on how to make and fold the card. You will need the items shown above. 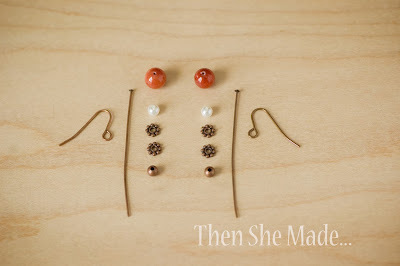 Start by adding your items to the jewelry pins like shown. 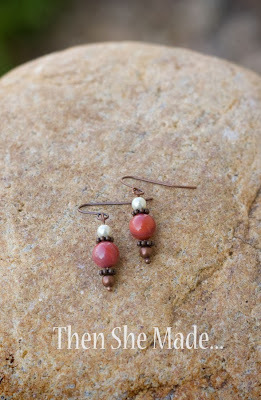 First add the small copper bead, then a spacer, then the red bead, another spacer, and finally the small white pearl. When you get done adding all your pieces, you will have something like the above. Repeat the steps so that both pins are stacked in the same order. 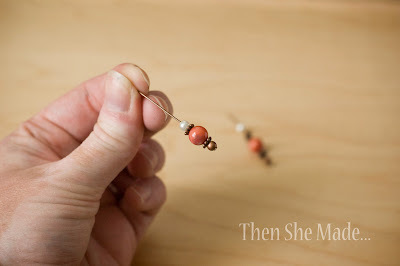 Then, using your needle nose pliers, bend the jewelry at a 90 degree angle. The bend should be really close to the top of the white pearl. 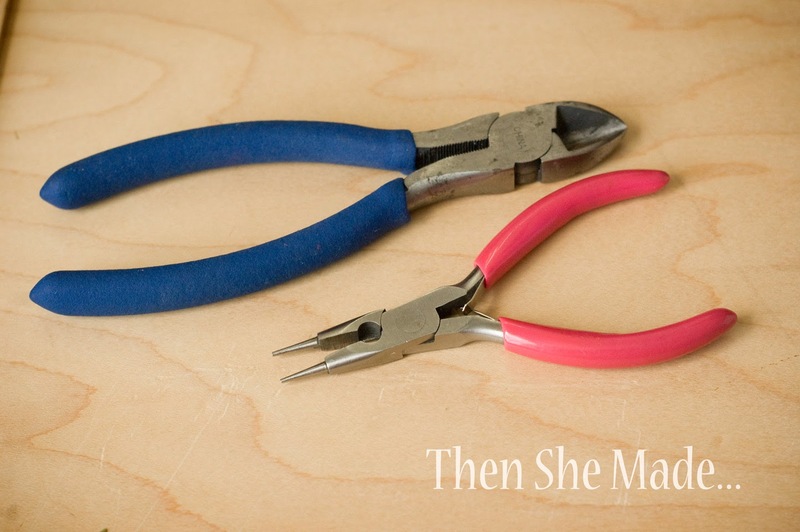 Then, pinching the wire between the pliers, bend the wire around the pliers to make a loop. Thread the wire through the loop on your earring hook, cut off the excess wire and close up the loop so that both pieces are connected. 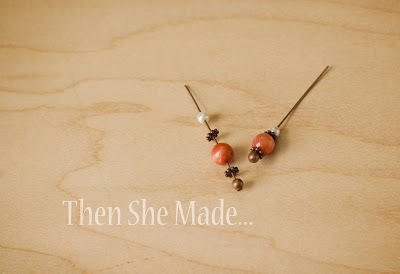 When you have them attached they will look something like the above photo and you are done with the earrings. Not too hard, right? 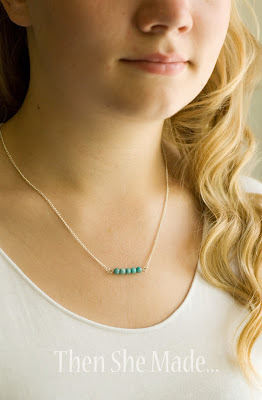 I already did a tutorial on this necklace earlier in the year so instead of re-writing it, follow the link below for the steps. Just be sure to come back so you can see how to create the packaging. Ok, now how to package your jewelry set? It's great to make jewelry but if you don't have a way to store it and package it, it just doesn't look like a nice gift. Packaging it can be really simple though. Here's one way I do it. The first thing you want to do though is print or stamp a design on the bottom right section of your cardstock. 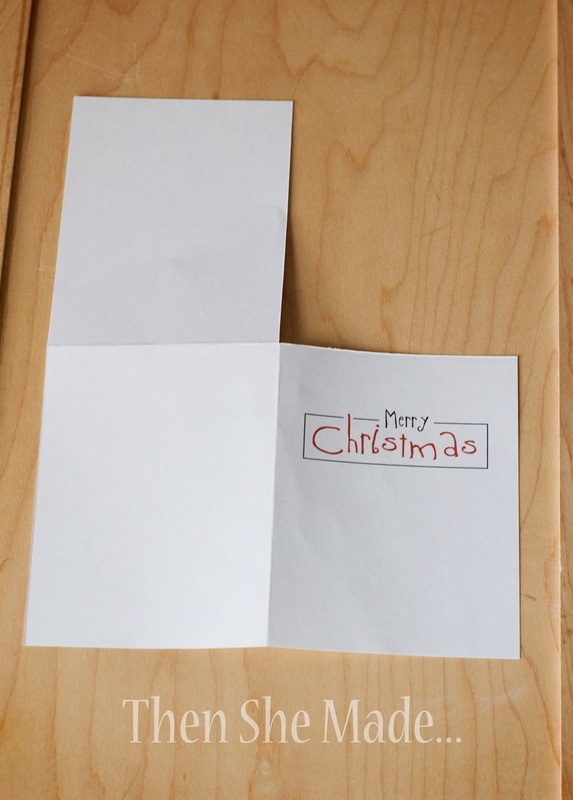 (When it is folded, that part of your paper will actually be the front of the card.) Mine just says Merry Christmas and I printed it, it's really simple and clean. 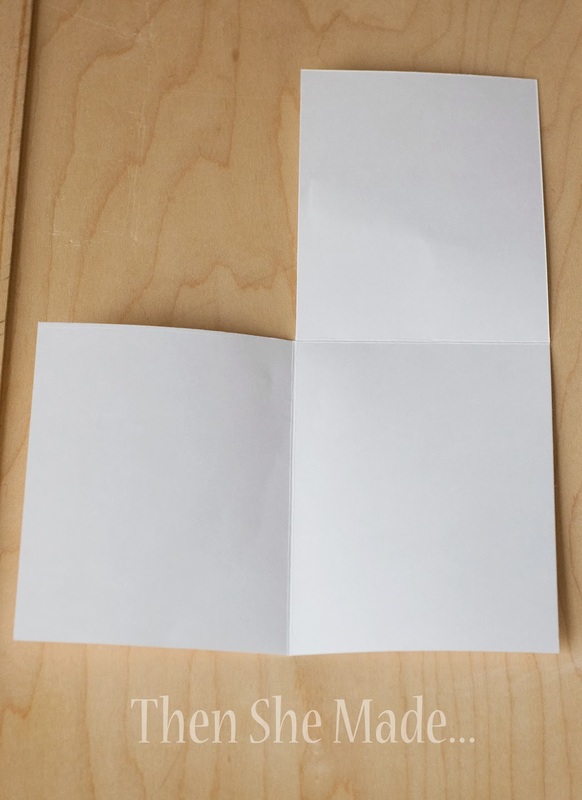 Then, after you have printed it, take your paper and score and fold it in half length wise and also width wise. this divides it into fourths like mentioned above. Next, carefully cut out, and discard, the upper right section like shown in the image above. 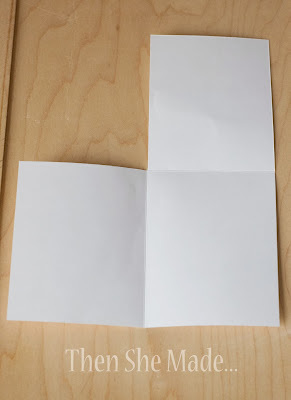 Then turn the paper over so that your printed design is no longer showing and take the remaining top piece and fold it down and on top of the bottom one. Then, and I'm sorry, I don't have photos of this, punch two holes where the necklace will thread through and two small holes were the earrings will hang from. Use the photo above for a reference. 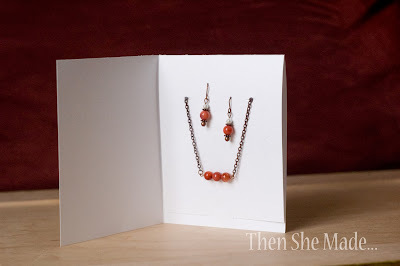 Put your jewelry in place, secure your necklace chain with jewelry holders or low-tack tape, and then attach the paper down so the back of your jewelry is hidden. Wrap it up with a cute ribbon, tie a bow and there you have it, a cute, low cost jewelry set that is ready to give and it all cost under $5! So, if you don't already have all the jewelry supplies and pieces, when you shop you will have to buy packages of each items. For example, the jewelry pins I used, come in a pack of 30 for $1.99. I bought them when they were 50% at Hobby Lobby so I only paid 99 cents. That means I can get 15 sets of earrings out of it which, just for the pins only is like .07 cents. Same with all the beads and spacers, so when you shop, just realize that each package will let you create many jewelry sets. Hope that helps! I happened upon your blog via the sock snowmen posted on Inspiring Creations blog, and really love this idea of how to present the jewelry! I have all sorts of beads and such just waiting, and oddly one of the things that always deters me making jewelry is not having a way of gifting them nicely. I don't like just handing it over in a pile or in a baggie, so thank you, I appreciate this idea. Have a great day!